At British Human Computer Interaction Conference, held on Tuesday 4 July, 9.00-12.00 in Sunderland, UK. We invite researchers, designers and practitioners to join us for this workshop and explore how sensitive, personal and sometimes embarrassing information about users can be elicited and shared in a safe and supportive way. The 3-hour workshop will present techniques for developing deep empathy and understanding for end users, and ultimately create better end products. 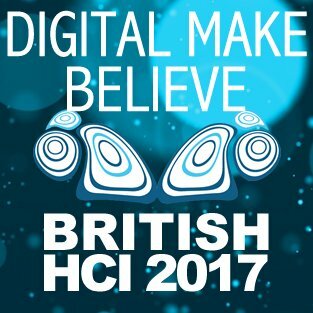 This workshop is part of the 31st British HCI conference, 3-6 July 2017 in Sunderland and participants must register through the conference website. We welcome prospective participants to submit short papers (max. 4 pages) covering any relevant topic related to dealing with sensitive and personal issues in participatory design. Your submission should focus on challenges encountered and the methods you use in your practice to overcome these challenges (whether they worked or not). During the workshop we will ask you to share these methods with other participants. Submissions should follow the eWiC template (see Downloads) and be submitted via EasyChair. Please submit early so that we can plan the workshop better. We will notify you of acceptance within a few days of receiving your position paper. Participatory Design approaches involve users in co-research, co-design and co-production activities with the promise to create digital artefacts that meet users’ needs, whilst also being easy and enjoyable to use. For this to be effective, users need to be able and willing to actively participate in the design process. This is particularly relevant when the application addresses health and well-being concerns, helps to overcome impairments or facilitates positive behaviour change. In these contexts, users are often asked to share their most private fears, failures and anxieties, which can be daunting. Further, users may have impairments or characteristics that prevent them from engaging in traditional co-design activities, e.g. autistic people who can find it difficult to imagine future scenarios, or young people who can find it difficult to verbalise their feelings and ideas. These are frequent challenges in domains where the focus is on the user’s wellbeing and personal development. Here, sharing personal fears, failures, anxieties and challenges is crucially important for the design process to be effective and for designers to develop deep empathy for the people they are designing for. Typical application areas are m-health, assistive technologies, tools aimed at facilitating positive behaviour change (Doney and Fabri 2015), psychological interventions such as CBT, working with vulnerable groups like children or disabled people (Parmana et al 2014), or tools that support neuro-diverse populations such as autistic people [Fabri et al 2016). During this 3-hour workshop we will collectively explore how to conduct participatory design in a way that gains the trust of users, fosters the sharing and analysis of deeply personal information, and engages users as active contributors in the design process. Based on our own experience of running participatory design we have developed strategies for putting participants at ease and eliciting personal information that leads to valuable insights. We would like to share these and learn from others. The first half of the 3-hour workshop will be dedicated to attendees introducing their research and sharing techniques and strategies. Following the presentations, we will collectively produce a list of techniques to trial in the second half. The second half of the workshop will consist of a participatory design journey, based on a given case study. Attendees will take part in a series of hands-on activities and experience various techniques from an end-user perspective. Activities will be facilitated by different workshop attendees. Towards the end of the workshop, attendees will reflect on the events of the day and collaboratively formulate a set of guiding principles for addressing personal and sensitive issues through participatory design. We plan to publish a special issue on the workshop topic in a relevant international HCI journal. Workshop attendees will be invited to expand on their workshop submissions, alongside a general call for papers. Marc Fabri and Paul Doney are members of the Enabling Technologies research group at Leeds Beckett University, School of Computing, Creative Technologies and Engineering. Both have experience of using Participatory Design and Design Thinking methods in the creation of apps and websites. They have run numerous workshops dealing with sensitive topics and have developed successful strategies to engage workshop participants in all stages of the design process. This entry was posted in Events and tagged co-design, conference, HCI, participatory design. Bookmark the permalink.